Impossible Foods launched its first major product upgrade this month — and the next-generation Impossible Burger delivers unprecedented taste, nutrition and versatility. The new recipe of the plant-based Impossible Burger contains no gluten, no animal hormones and no antibiotics. It’s kosher- and halal-certified. It’s delicious in any ground meat dish, including stews, chili, sauces, braises, minces, meatballs, meat pies or any other beefy menu item. It’s easy to cook on the BBQ, charbroiler, flat top grill, high speed oven, steamer or sauté pan. Chefs can use the Impossible Burger in recipes from lasagne to lo mein. 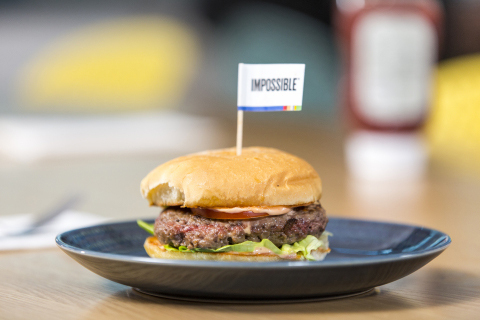 Impossible Foods launched its next-generation Impossible Burger at the International Consumer Electronics Show (CES) — the first food ever showcased at the show, which features breakthrough technologies from connected homes to autonomous cars. Impossible Foods expected to serve at least 12,000 free samples throughout CES with a food truck outside the Las Vegas Convention Center Jan. 8-11. On Jan. 7, the Las Vegas outlet of Border Grill became the world’s first restaurant to begin serving the next-generation Impossible Burger. 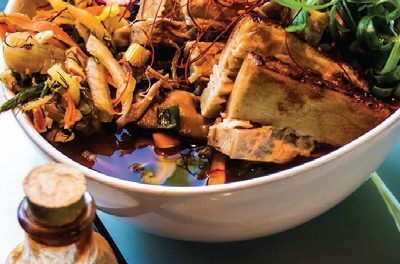 Owned by Mary Sue Milliken and Susan Feniger, Border Grill revolutionized Mexican cuisine in America and helped kickstart the sustainable food movement among US restaurateurs. Starting Jan. 8, many more of America’s most influential chefs received exclusive access and served the new recipe in their restaurants. If you have to have an Impossible Burger now, the closest restaurant to The Weekender’s headquarters in Centralia is at Chef Sarah Schafer’s Irving Street Kitchen in Portland, Oregon. 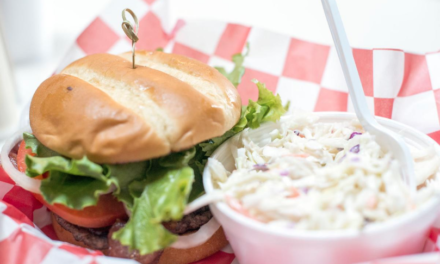 Starting next week, “better burger” chains will begin rolling out the new recipe. Starting Feb. 4, the next-generation Impossible Burger will be available to all restaurants in the United States through major food distributors. At that point, restaurants will automatically get the new recipe when they place their next order; by mid-March nearly all Impossible Foods’ restaurant customers will likely be serving the new recipe. Based in Redwood City, California, Impossible Foods uses modern science and technology to create wholesome and nutritious food, restore natural ecosystems and feed a growing population sustainably. The company makes meat directly from plants — with a much smaller environmental footprint than meat from animals. The heme in the Impossible Burger is identical to the essential heme humans have been consuming for hundreds of thousands of years in meat — and while the Impossible Burger delivers all the craveable depth of beef, it uses far fewer resources because it’s made from plants, not animals. Last week’s launch marks the first major product upgrade from Impossible Foods and comes after years of research — including frequent, third-party taste tests on the West Coast, Midwest and Mid-Atlantic with consumers who self-identify as heavy meat eaters. The participants each eat a “naked” Impossible Burger (without condiments or buns). 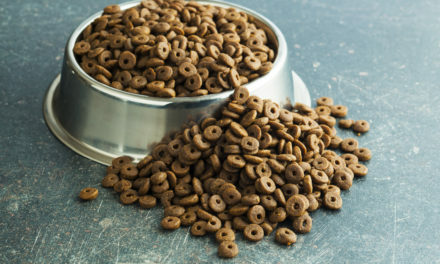 The tasters aren’t told whether they’re eating plant- or animal-based meat. They then rate the naked patty purely on “likeability.” In separate tests, consumers gauge likeability for a similarly plain patty from a cow (made with conventional “80/20” ground beef from a major grocery chain). Based on aggregated data from more than 1,500 consumers in these sensory tests, the all-new Impossible Burger’s “likeability” rivals that of conventional burgers from cows. Later this year, Impossible Foods plans to launch the next-generation Impossible Burger in select U.S. grocery stores. That means that home chefs will be able to enjoy the Impossible Burger’s industry-leading taste and functionality. The new recipe gets its meaty chew and versatile texture from soy protein, not wheat protein — a response to consumers who loved the original Impossible Burger but wanted no wheat or gluten.